This class is a stepping stone for swimmers who may be interested in Transitioning from our progressive swim lessons, to possibly joining our Dolphins Swim Team. This class will include introduction to Butterfly and completion of the Breaststroke. Swimmers will practice more advanced racing techniques, underwater streamline, starts, and proper flip turns for each stroke. Not only will this class serve as a place to learn and build confidence, but swimmers and parents will get a glimpse of what it is like to be on swim team. The Dolphin Swim Team promotes the Y values, team spirit, competition and fun. 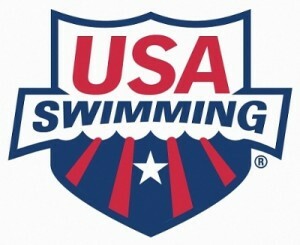 Swimmers will develop individual skills and stroke techniques, improve times and make new friends. The season begins in September and ends in March. Throughout these months, swimmers will get the chance to compete against other YMCA Swim Teams with the SENECY league, as well as compete with other club teams now that we are a USA SWIMMING SANCTIONED CLUB! All Swimmers must have a YMCA membership. Welcome to the Ocean Community YMCA Westerly-Pawcatuck Branch Dolphin Swim Team! The Swim Team is a wonderful organization that combines the excellence and dedication of our children and their parents. Swim Team should provide your child with an atmosphere that is safe, fun and challenging. We average over 100 swimmers and each and every one of them is special and recognized as such. For more information about the Westerly Dolphins Swim Team click here. * For any swimmer new to our program, we offer a limited time no-charge practice trial. Please contact Mark Bombard at 401-596-2894 or mbombard@oceancommunityymca.org for more information on this program. The Dolphins work out and have home meets at the Westerly-Pawcatuck YMCA located at 95 High Street, Westerly RI. We have a 6 Lane 25 yard length pool. The Dolphins are part of the Ocean Community YMCA which has branches located in Westerly, Arcadia and Mystic, CT.
* For any swimmer new to our program, we offer a limited time no-charge practice trial. Please contact the Aquatics Director more information on this program.